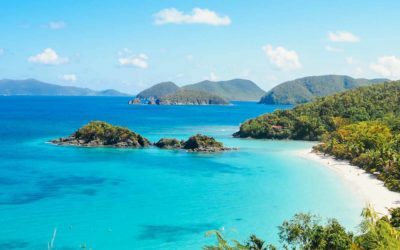 Every day, we get emails asking us about how to become a digital nomad or how to find digital nomad jobs. So many people (like you) want to know how we manage to travel the world while working online. It sounds like a dream and some will tell you it sounds like a dodgy scam. But I’ll let you in on a little secret… it’s a 100% real. This life of working while you travel – it’s like a dream but it’s more like a dream come true. In the last few years, Johnny and I have travelled, lived abroad and most importantly, built up an online, location-agnostic business that allows us the freedom to work from anywhere. This guide is the beginner’s guide we wish we had when we first started out. If you’re curious about the digital nomad lifestyle and wondering how you can make it happen for yourself — you’re in the right place. But first… let’s get into some basics. What even is a Digital Nomad? Believe it or not, when we first became digital nomads, very few people actually used the term. 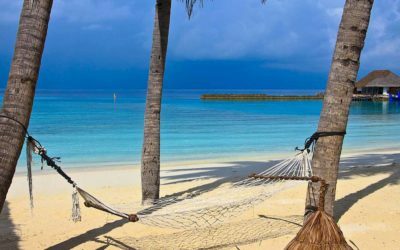 Now, there are thousands of people around the world who travel while they work and “digital nomad” is a much more recognised term. A digital nomad is someone who combines their ability to work online with the freedom to travel. It’s not about backpacking around the world, picking up a few small jobs here and there to make ends meet. A digital nomad is someone who has a legitimate source of online income – whether it be through a remote employer, through freelancing or even through their own startup – and they choose to travel the world, because they have the freedom to do so. The type of work and the lifestyle they live varies from person to person. After all, there is no ONE way to be a digital nomad. However, one thing they all have in common is they value the freedom their online work provides and wouldn’t have it any other way. 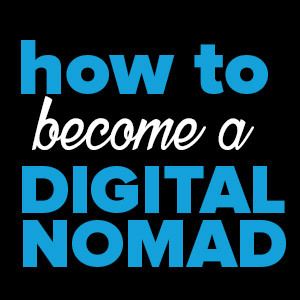 So how do you join the digital nomad ranks? So if you want to join the tribe and start your own work-from-anywhere dream lifestyle, the first thing you need to think about is your skills. To become a digital nomad, you will need to have (or acquire) the right skills – skills that will allow you to easily work online and make a location independent. So what are the right skills? Basically, any digital skill that you can use to sell online and make an income from it. Some of these are skills that would be handy for freelancing, while others are more specific to those set on making it in the entrepreneurial world. 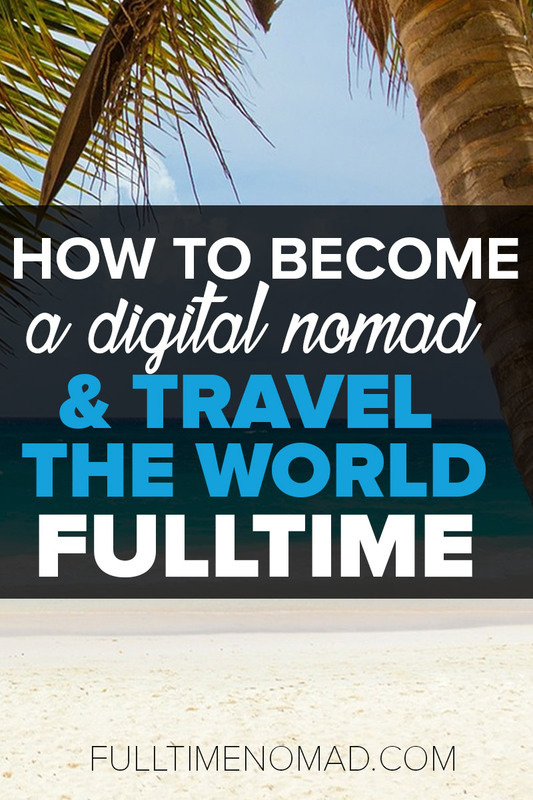 There are a LOT of ways to use your skills to become a digital nomad. There are different ways to make money and so many different types of businesses where you can put your skills to use. We go into this a bit later on. You will also need to develop some other essential life skills such as adaptability, self discipline, time management, communication skills etc but we’ll just stick to the professional, money-making skills here. The above skills are handy if you’re planning to break into remote work or freelancing. Read: How Do People ACTUALLY Make Money From Blogging? Now that you’ve seen the list, we hope some of you realise that you already have the skills, you just need to make the jump. Most people have some basic skills, especially when it comes to using a computer. If you’re currently working, you probably have some knowledge in a specific area whether it be retail or even a trade. What you need to do is, figure out how you can upskill yourself to acquire some digital skills and combine it with your existing knowledge to create a reliable source of income. For example, you could be a shop assistant in a gift shop, who knows a lot about the kinds of presents people like to buy. You could then learn about online shopping and ecommerce, and go on to set up a blog about gifting or, better yet, set up your own online gift store even. That’s just an example. The possibilities are endless, you just need to think creatively about how to make use of your knowledge and skills. What path should I go down? Should I find a remote job or should I start my own business? I don’t really understand how to best put my skills to use. Can you hold my hand? Like we said earlier, there is more than one way to become a digital nomad and travel the world. Which pathway you choose depends on your skills and of course on what you want to achieve. So broadly speaking, there are two groups of wannabe digital nomads. – You already have a digital skill. – You have professional experience using that skill. – You’re almost there…you just need to figure out how to use your skills to make a location independent income. – You don’t have a digital skill…yet. – You are open to changing career paths. 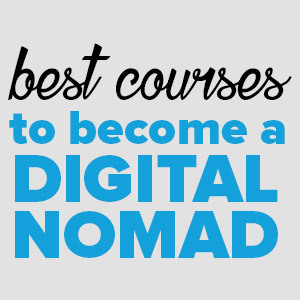 – You’re keen to learn and acquire new skills that will help you become a digital nomad. Here’s the thing. If you have already identified a skill, you’re already halfway there i.e. almost there. What you need to do now is think about how you’re going to put that skill to use. May be your current job doesn’t require you to be in one place. Ask your boss if you can work remotely. If they say, yes – hooray! Pack your bags — you’re ready to go. 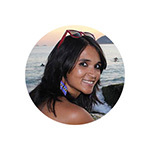 Can’t turn your current job into a digital nomad job? No worries. There are plenty of companies open to working with remote workers these days. Really don’t want a boss over your head and would rather break out on your own? Find the freedom with freelancing. This is how we started and in fact, this is what we recommend to most newbies. 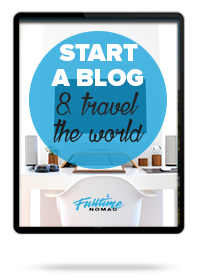 It’s the perfect starting point for your new digital nomad life. How does freelancing help you become a digital nomad? It’s simple. You have a skill, you find someone who wants to hire you for that skill and boom, you have a source of income. Of course it takes a bit of time and effort to build up business and find good clients – but so does everything else, right? For example, Johnny is skilled in Facebook advertising. He decided to sell that skill to find clients who needed help with their Facebook advertising. Clients hire him for his expertise and pay him to help their business reach the target audience via Facebook ads. Step 1: Identify your skill – What skill can you sell to clients? Identify skills that are in demand and will help you build a successful freelancing business with. Step 3: Find clients – Who is going to hire you? Find your clients with the help of your online presence but also through networking and other means. Get creative and push hard. Put yourself out there. Step 4: Build an income – Do you have consistent work? Ad hoc work isn’t going to cut it. You need to build a stream of steady work so you can comfortably live a work-while-you-travel lifestyle. Once you have a steady source of income – there’s nothing to stop you from traveling the world. So if you have a digital skill that is in demand, maybe you need to forget about finding a remote job and maybe it’s time to start a freelance business instead. So if you want to work independently, why do we recommend freelancing so highly? The short learning curve: If you’re planning to start a blog or build a startup, the learning curve can be steep and growth can take a while. If you want to start making an income ASAP, freelancing is your friend. The flexibility: Remote work is great but you’re still tethered to an employer. Freelancing gives you the flexibility to work when, with whom and where you want. A growing economy: Currently, millions of people around the world are hustling in cafes and coworking spaces, reaching out to friends and past clients to find work. And the growing number of freelancers also means that there is obviously a growing amount of online work available. According to the freelance marketplace, Upwork, 3 million jobs are posted on their site, every year. That’s over 8000 jobs EACH DAY! That’s a lot of work! Availability of work: People around the world are becoming more open to hiring freelancers and finding the right person for the job — even if that person happens to be on the other side of the world. Use the skills you already have: You don’t need to spend months and months of your time learning new skills. You already have the skills; you just need to know how to put them to work. Where can you find freelance work? Freelancing platforms: There are lots of platforms out there that will connect you with potential clients. Some are great, some not so much. 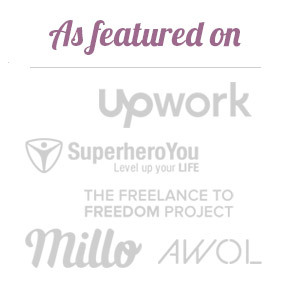 Our favourite (and the one we’ve used most extensively) is Upwork. Check out other options in this article: 52 websites to find freelance work. Networking: The people you know are your most valuable asset. Put yourself out there. Tell them you’re freelancing now. Pitch work to them or people they know. Anyone could be a potential client – don’t be afraid to ask. Cold calling/ emailing: Got an idea of someone you’d like to do some work for? How about sending them a cold (i.e. unsolicited) email. It sounds icky but it doesn’t have to be. If you do your research and pitch yourself the right way, a cold email can lead to freelance work. Online networking: Facebook groups and online forums can be a fantastic source of work. Join groups for freelancers, digital nomads or any other group where your potential client is likely to hang out. You’ll see plenty of opportunities to pitch yourself and your services. Before you start, here are two quick tips for your new freelancing business. You want to pick a niche to specialise in, and establish yourself as an expert. You want to work for the best clients but the best clients don’t search for generic freelancers with generic skills. They look for people who are experts in specific areas. Niching down and focusing in on one area will get you more clients, and better quality ones. One of the biggest mistakes we see a lot of freelancers make is that they are so eager to jump in and find jobs that they neglect to take the time to build any sort of online presence first. How are clients going to know who you are and what your expertise is, without having any point of reference. Eliminate the confusion with an online portfolio that showcases your skills and experience. You can do this by setting up your own website and of course by joining a freelancing platform like Upwork and creating your profile there. Or, if you’d like to go a step further, go ahead and set up your website. And finally, if you really, REALLY don’t want to trade skills for money and would much rather build something of your own – that’s awesome. Probably the most well known yet the most mysterious way of making an online income. 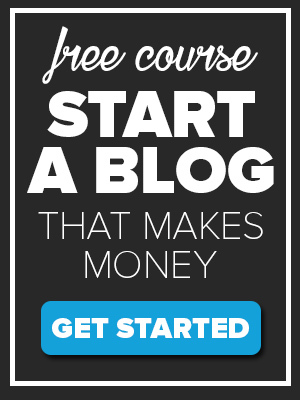 Build a blog (and an audience) and you could monetise it with advertising, sponsorships and so much more. See also: How Do People ACTUALLY Make Money From Blogging? Make money by promoting other people’s products and services and earn a commission every time someone makes a purchase based on your recommendation. That’s the basics of how things work. Got a product to sell? How about selling it online. Ecommerce is a super popular way to make a location independent income. The key is to find a product that’s in demand and finding the most profitable way to sell it. Have an idea for a product or service that could change the world? Build your own startup and work on it from anywhere in the world. Just remember that building any sort of business from scratch can take a bit of time so be patient and remain open to learning. You might fail at the start but don’t give up. If necessary, you can always start freelancing to create an income while you build your new business. Not quite there with the skills yet? No worries. Everyone’s gotta start somewhere and what matters is that you’re keen to learn. Wait, what? You want freedom and we’re telling you to get a job. Yep. If you’re not quite there with the skills yet, and especially if you’re young – why not find a job that could teach you at least some of the skills you need? You could get paid to learn and it offers a lot more security as well. Alternatively, maybe you could change tracks in your career and use it as an opportunity to learn new skills. So for example, you could take up a job in admin, and learn skills for a future in virtual assistance. Another option is to find a job abroad. This could give you the experience of living and working abroad, without worrying about how you will make money overseas. You could find a job in a related field or you could even do something like teaching english as a foreign language and spend your spare time studying or practicing your digital skills. Don’t or can’t find a new job that will teach you the skills? All good. Go back to school by taking an online course. There are some incredible courses out there that will teach you everything you need to know about a particular skill. Just a word of warning: Do your due diligence and purchase your course from a known course provider or from someone you know is an expert in what they’re teaching. You don’t want to do a course taught by someone who isn’t really an expert themselves. There are some places (e.g. Chiang Mai, Thailand) that are super popular among digital nomads. 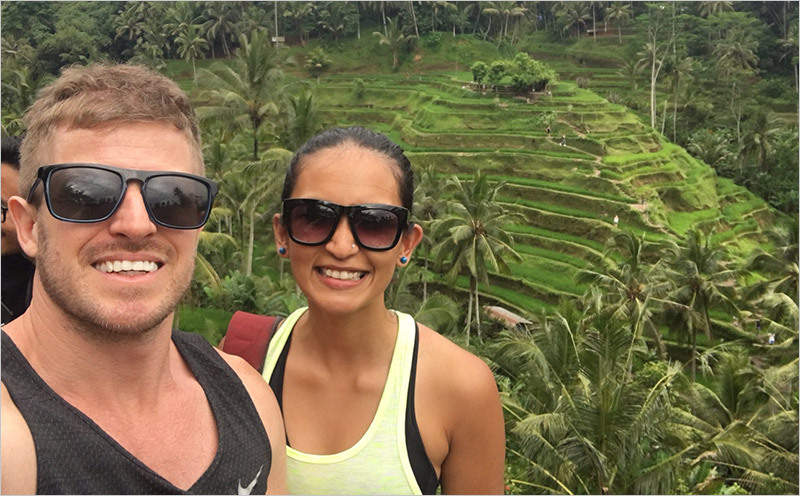 Why not head to a digital nomad hub and learn from and among others already living the lifestyle you aspire to? 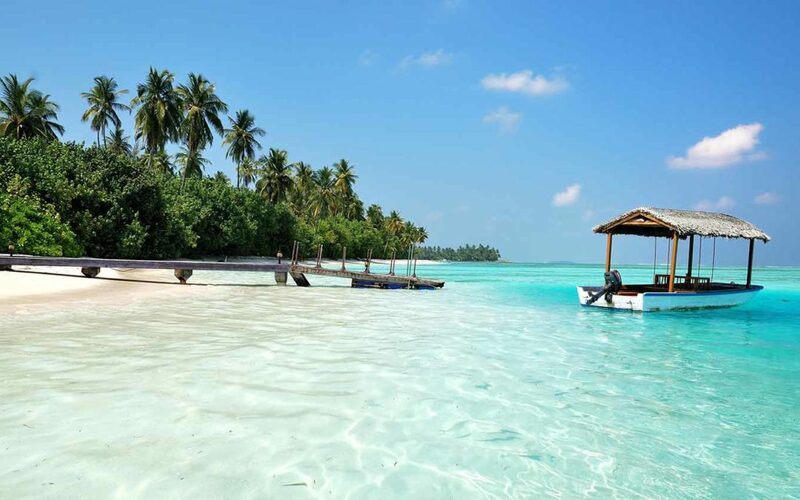 Option 1 would be to go there on a working vacation of sorts to try and work out which digital nomad pathway is for you and take it from there. Or, if you just want to quit your job already, Option 2 is to just take the plunge (make sure you have some savings) and go learn and be inspired while you’re surrounded by digital nomads. People who are already living the online work and travel lifestyle could be the best people to teach you what to do and figure out which skills to learn. Option 3 would be to participate in some sort of retreat or bootcamp where you could learn a skill while also getting a taste of the digital nomad lifestyle. A great example of this is the Destination Dev bootcamp that will teach you how to code while you live in Medellin, Colombia for 8 weeks. Ok, so now you know the path to becoming a digital nomad – it’s time to think about the next step – travel. So obviously, as a digital nomad, if you’re planning to work while you’re abroad, you need to pick places that are suited to this lifestyle. There are many factors to consider but the number one being: good internet. Plus, as a newbie, you probably want somewhere with a cheap or affordable cost of living as well. You know living in a cheap place also often means you can have a higher, better standard of living than you would in a more expensive city. Plus, it also gives you a chance to save money and really just focus on building your business without worrying about your living expenses too much. So with this in mind, here are some of the best digital nomad cities. Places that are affordable, have good internet and are just generally fun and interesting places to live in for a little while. There are plenty more, but even if you pick one of these, it’s a great starting point. 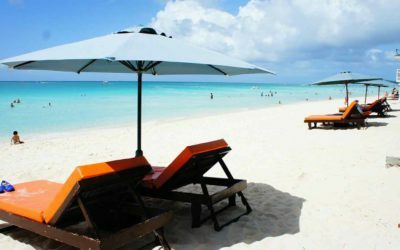 How Much Money Do I Need to Become a Digital Nomad? Right so, that’s what it all comes down to – doesn’t it? How much money do you really need to become a digital nomad? How much does it all cost? So obviously this is a relative answer. It depends on your lifestyle and of course where you choose to live. Where are you going to live? This will hugely determine how money you need. Pick your digital nomad base before you move on to the next step. Your cost of living would include everything such as your accommodation, food, transport etc etc… basically everything you would need to spend your money on to live in a place for a little while. Once you’ve figured out how much it costs to live in a place, compare it to your income. You might find that making $1500 a month from your online work may be more than enough to get you started and go live in a place like Chiang Mai or something. Make sure to leave room for some savings or at least have some backup money to fall back in case of emergencies. The bottomline is, being a digital nomad is a minimalistic lifestyle. You need a lot less so you spend a lot less. 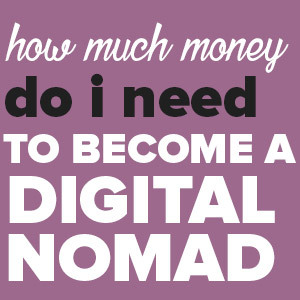 See also: How Much Money Do You Need to Become a Digital Nomad? Traveling as a tourist is often much more expensive than slow traveling as a digital nomad. You’re usually not staying at expensive hotels; instead you’re usually staying outside of the main tourist hub, you’re eating at more local joints… sometimes even eating in and just trying to lead a normal life…just in a different city or country. Right so you’re ready to go, but wait… are you setting yourself for disaster? Obvious enough, but so many wannabe digital nomads keep saying “I wish I could do this…” but never actually take any action on their dreams. Don’t make that mistake. Commit yourself and get started. YOU have the power to make this happen but you have to start. Somewhere… Anywhere. Successful digital nomads are successful because they plan to be. Create a plan for what you want to achieve and lay out all the steps to achieving it – whether it be getting enough clients for a sustainable freelance business or setting yourself a deadline to release your first product. Similarly, plan your travels and digital nomad stays or you might end up blowing the budget sooner rather than later. Plan it all out! The goal is not to travel. Really. When you’re starting out, the goal is to make a sustainable and consistent income and this in turn, will help you travel. Stay focused on the quickest way to make this happen. Don’t get distracted by shiny objects and try to do everything at once. So you want to build a startup? Awesome! But what are you going to do about money while you do that? You should make sure you either have enough savings or take up a side job/ freelancing while you build your dream business. You don’t want to end up broke and have nothing to show for it. This is for those of you planning on freelancing. You want to pick a niche to specialise in, and establish yourself as an expert. When you narrow your focus, you tend to attract better work. Don’t be a jack of all trades freelancer. Here’s a truth bomb for you: If all you do is read this guide, this guide is useless. This guide won’t make you a digital nomad. This guide won’t turn you into a traveller. This guide won’t help you create location independent income. All the blogs you read, videos you watch, podcasts you listen to – all of that information you consume is useless – if you don’t take action. The infrastructure, the opportunities and the possibilities to make this lifestyle a reality, are all right there for the taking. You can do this. You just have to take action. You have to commit to a change. Stop living your life in waiting. The digital nomad lifestyle is real. We’ve been living it for over three years now and there are thousands of others who are successfully doing it too. But to make it YOUR reality, you have got to commit to it and put the work in. It might not happen overnight (it rarely does) and you might fall down a few times before you figure it all out; but it’s not impossible. Start today. Take a step, even a small step… and watch that comfort zone crumble around you. You guys are lucky to be young and free! It’s great to discover your site. My wife and I are retirees, healthy enough to travel, but still need a bit more income. We’ve operated a (local) window cleaning business for 14 years, but have hesitated to expand it. I’ve dreamed of living a “Full-time Nomad” lifestyle for some time, but we always stop short of making a commitment. My skills for working from anywhere could include writing and photography (and window cleaning). We are making an international documentary on keeping and saving things. What is the meaning of keeping and how do we value things? On the other end of the spctrum we find digital nomads. People who don’t have any belongings accept their backpack, laptop and phone.Memories are in the cloud. Hi there, feel free to email us at hello [at] fulltimenomad.com with more details. We’re currently in Mexico. Hi Sanjay, I’m not exactly sure what you mean and I’m not able to provide immigration advice unfortunately. Just a newbie to the Digital Nomad life, enjoyed reading this topic on your site. 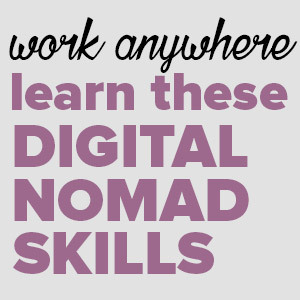 Just wanted to point this out, you used this – ” You will also need to develop some other essential life skills such as adaptability, self discipline, time management, communication skills etc but we’ll just stick to the professional, money-making skills here” – paragraph twice in a row on your page where you talk about the skills needed to become a digital nomad. Thanks Russ. I don’t know how we missed that one. Glad to hear you enjoyed it. Let us know if you have any questions.